Feeding Minds Press announces the publication of its first book, Right This Very Minute: A Table-to-Farm Book About Food and Farming by award-winning author Lisl H. Detlefsen. 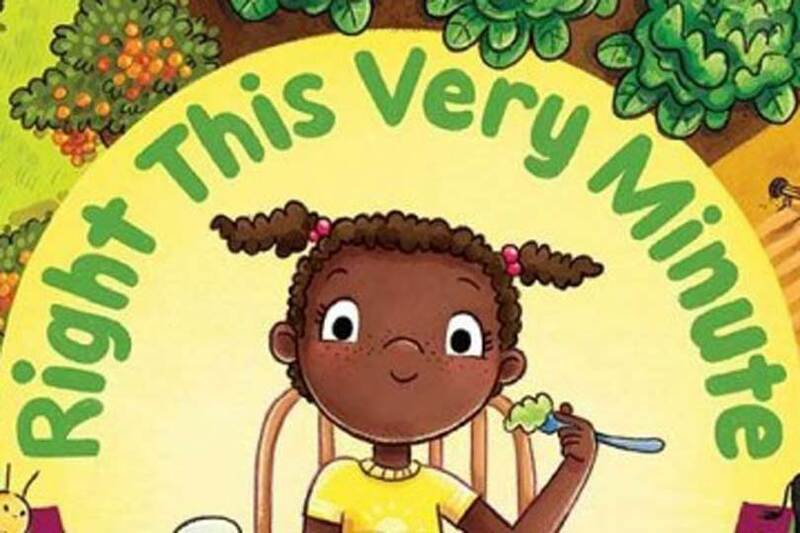 The book, illustrated by Renée Kurilla, explains to children how every minute of every day, someone, somewhere, is working to bring food to their table. Right This Very Minute is geared toward children in kindergarten through third grade. The 32-page picture book follows children through an entire day of meals and snacks, with each one emphasizing how critical farmers and agriculture are to society. Hardcover copies of Right This Very Minute may be ordered online for $17.99 each. Related materials available for purchase include an educator’s guide that has seven lessons to encourage students to dig deeper into thinking about where the food on their plates originated and a Snacks Ag Mag. The Foundation presented its 12th “Book of the Year” award to Detlefsen for Right This Very Minute in January. The award springs from the Foundation’s efforts to identify “Accurate Ag Books,” a collection of nearly 500 books for children, teenagers and adults that accurately cover agricultural topics. The Accurate Ag Books database is available here. Is there a soft cover printed?